Acknowledgements. Part 1: Introduction. 1. A Sociology of Organisations? Part 2: Organisations: Concepts and Classifications 2. Defining and Labelling Organisations. 3. Types of Organisations. Part 3: Organisations: Missions and Cultures. 4. Organisations and Their Missions. 5. Organisational Cultures. 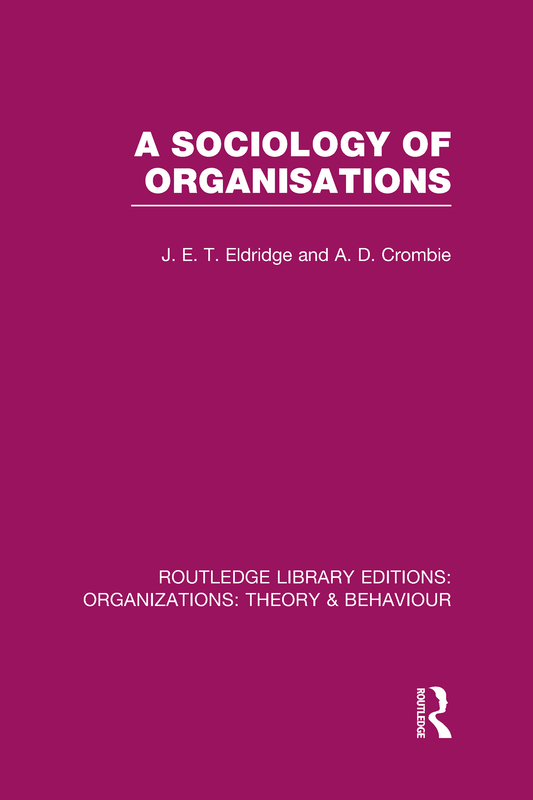 Part 4: The Organisational Phenomenon 6.Organisations and Society: Legacies of Sociological Thought. 7. Organisations and Society: Thematic Continuities and Cross-currents. Part 5: Conclusion. 8. Sociologists and Organisations: Critiques and Apologias. Bibliography. Index.